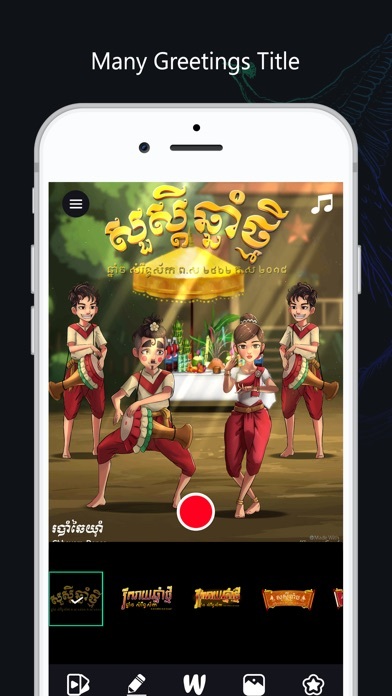 Khmer eCard is a 2D Animated eCard that allow you to express yourself in a different way by swapping your and your friend's face with the cartoon character faces, and see the wonderful animation happen. 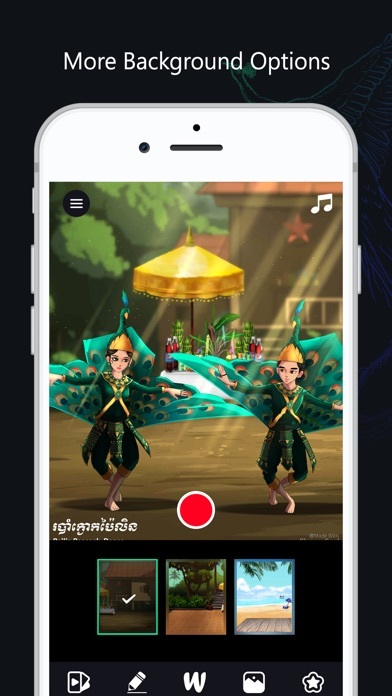 The application comes with real-time animation of the whole scene, it is neither a rendered video clip nor an animated GIF . 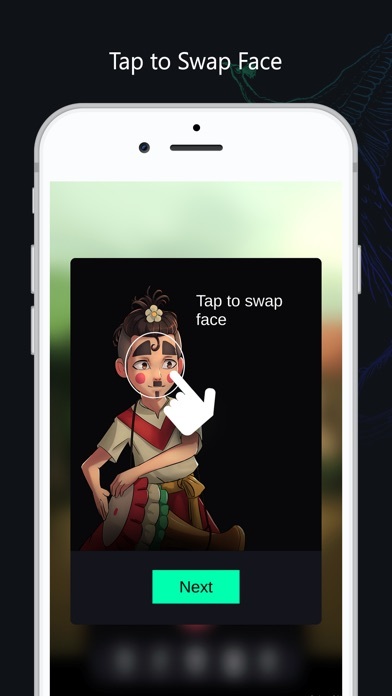 Change your face by just Tapping on character's face, and select your picture or capture a new one, then you can add decoration to animated scene and export that eCard as the high quality video clip and save to your device storage. 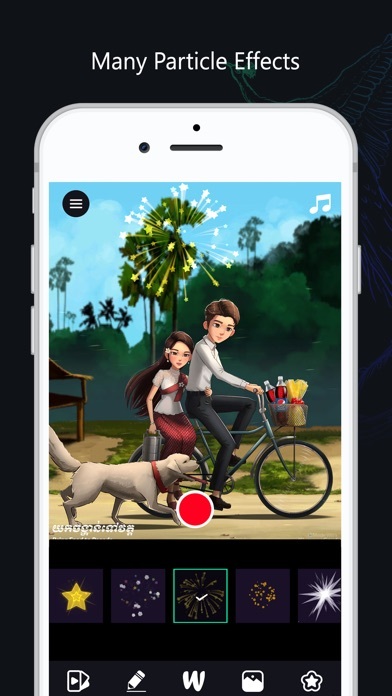 We use lower-level encoding technique to encode your Animated eCard, that's why Khmer eCard can archive high quality eCard video clip export. - Unlimited eCard Video Export. 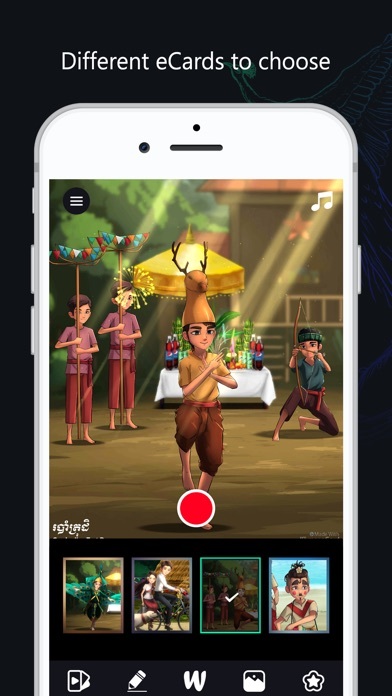 *Internet Connection is required in order to use the Application, because we use cloud save and cross-device sync, so each time you launch the application, a connection is needed to verify.